"In February of 2002, Dustin Van Wechel left a successful 8-year career in the advertising industry to pursue his life-long passion, fine art, full-time. Since then, Dustin has earned numerous distinctions including the 2015 'Bob Kuhn Award for Wildlife' at the Masters of the American West Show, the '2015 Premier Platinum Award' at the Buffalo Bill Show, the 'Wildlife Award' and 'Teton Lodge Company Award' at the 2006 Arts for the Parks competition, and he's been featured in several leading art publications such as Art of the West, Western Art Collector Magazine, Southwest Art, The Artist’s Magazine, The Pastel Journal, and Drawing Magazine. His work has been exhibited all throughout the U.S., in one-man shows, major art exhibitions and museums including the National Museum of Wildlife Art, the Autry National Center, the Buffalo Bill Historical Center, the Booth Museum and the National Cowboy and Western Heritage Museum. 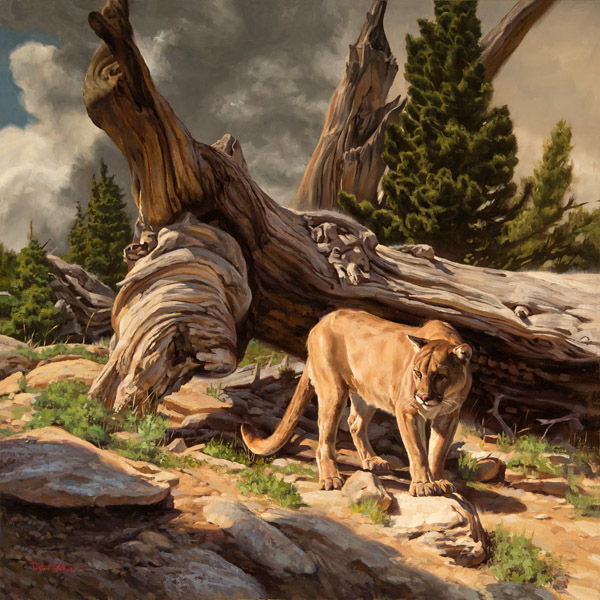 Dustin's work is represented by Trailside Galleries in Jackson, Wyoming. He and his wife, Yvonne, currently reside in Colorado Springs, Colorado."